Be prepared for all those treat-or-treaters this year by buying candy treats that are made from organic ingredients, and are naturally colored & flavored. When buying chocolate treats, look for fair trade goodies. It is so good to know about the options out there. I always wonder how long trick or treating will be tolerated by society. 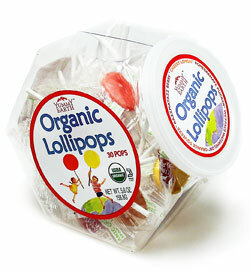 eco friendly candy is the best!